Right across Europe, over the course of the last year, a series of European countries have been demanding that their gold reserves, which are often stored in different nations, are bought back home. What it reflects, however, is a growing public unease with the single currency EURUSD, -0.36% . The euro crisis might have seemed patched over for much of the last two years. But austerity and recession are taking a mounting toll. The point about having gold on your own soil is that it is an insurance policy against a chaotic return to national currencies. The fact that so many countries seem to want that insurance tells you something important about the euro — and it is hardly comforting. They still think there is a real possibility of collapse. It can hardly be a coincidence that so many eurozone countries suddenly care a lot about where their gold is kept — whereas in Britain, the U.S., or Japan, no one cares very much. The reason is not hard to figure out. People are feeling increasingly nervous about their money, and in those circumstances they start to renew their interest in precious metals. There are not many circumstances in which holding a big stash of gold on your own territory matters very much. But one of them is the sudden, chaotic reorganization of your currency. If a country were to introduce a new currency overnight then if it could be backed by some gold right from the start that would give it some instant credibility in the markets. 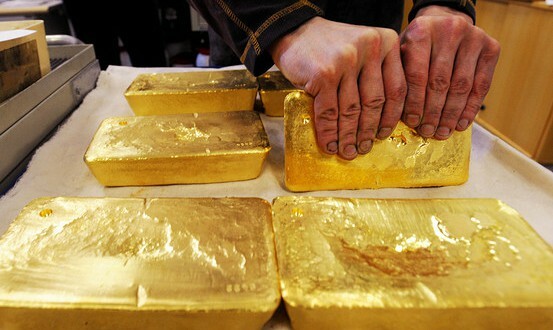 Repatriating gold only makes sense as a way of preparing for that to happen. Next: How much longer can gold price intervention go on?